Well, having the kiss in the last episode pretty much matches up with what happened in the original Japanese version, so I sort of expected that actually lol. Can't believe this drama is almost reaching the end. I guess it's a relief in a way... the drama at this point is really similar to the Jap-version, the difference being they took events and sort of rearranged them to say - here, we did something. BR: I don't think I can come after all. YC: What are you talking about? Are you never going to see me again? BR: I feel like I can't leave if I see his face. YC: Does it make sense to be troubled because you love someone too much? TJ: What are your feelings towards Kim Bo-Ra? BR: I miss him (it? unclear object). Though it hasn't even been that long. CS: Did you know that BR is leaving for Jeju Island today? YC: Not anyone else, but you. I want to be with you. So just stay by my side. I think @dramaninja is mirroring most of our disappointment that MBN didn't do more for YC-BR with 5 more episodes than the Jap-version. They should have chosen to include more for the special episodes and lovey-dovey bits after they became a couple instead of expanding on the YC-TR loveline, which was doomed anyway. Bad choice. I'll only recap briefly since I'm really tired. If you're curious, you can read recaps for the J-version, and basically still know everything that happens, only in a different order lol. YC and BR are at the terminus after they both fell asleep on the bus. There happens to be an amusement park nearby which YC recognizes. BR pulls him in and he follows although he doesn't want to. They ride the carousel, which awaken painful memories for YC. YC tells BR how his mum abandoned him. He says their family used to sell kalguksu (the noodles he likes to eat). It wasn't any special taste but it tasted of the sea, and he still remembers it. He remembers all the details and faces in his memory now. BR comforts him and says that he has her by his side now, which makes him smile. TJ is interrogated by the police over the intruder incident before. The police ask why he didn't report it back then, and TJ hesitates before he confesses that he was the one who handed over the data. BR and YC return just as it goes all over the news. YC thinks of their past, how they established the company and the obstacles they overcame, the milestones they achieved to be in their current position. There's even a bit of how Dir. Nam believed in their company when his colleague didn't, which is why he joined them I think. Their friendship was so lovely. YC misses his last bus to the church. BR is there and she invites him back to her house since she doesn't think he should be alone. They take the bus back together. YC asks how many times she's invited men home lol. BR huffily confesses that she's never done such a thing, and never dated before either. YC says that's twice then, since she also took him home last time (haha.) She remembers him in the funny pyjamas, and they laugh together. YC is in a different set of PJs that somehow matches her bedsheet (not important). As BR brushes her teeth, she has this funny spaced out silly grin on her face. She slaps herself and tries reminding herself that men are wolves. But she thinks she's more like the wolf here, and actually howls. LOL. She goes to check on YC in her room and tucks him in. YC speaks as she leaves, wondering how TJ is doing. He wants to see the old TJ again. BR asks if YC doesn't hate TJ, and tells him that it's ok even if he does, for a bit, since hating implies that you once liked that person. BR tells him to forgive TJ after. Everything gets too overwhelming and he turns around to sleep. BR sits on the bed next to him, then lies down looking at his back. She says that she likes it better now, and she feels like if everything went back to before, she'd lose her place now (beside him). She gets up and leaves the room. They are snuggled in bed together the next morning, BR's head fitting perfectly in YC's shoulder. BR wakes up and squeals, as I squeal too. YC sleepily says he must have walked into the wrong room when he went to the toilet during the night. Hah. YC goes to meet TJ but the police say TJ refuses to see him. A month later. YC has an interview about his new company's success. The reporter asks for his secret, and YC answers, "Because it's me.... that's what I said 6 months ago. After leaving NI and hitting rock bottom, there were people who stayed by my side. I was able to rise again because of them. Actually I think they've always been there, I just never realised." Everyone is touched by his growth. Later YC asks BR his score, and she gives him 100 because he was amazing (the preview scene). He leaves with the reporters, and BR holds her heart still. The next day Dir. Nam asks YC to return to NI if possible. He says that he can't see NI fail, and people will use their failure as an excuse not to innovate anymore. He argues passionately, but YC turns him down, saying that he has other things to protect now. YC goes back to Dancing Whale and suggests to his BF team to return to NI, but laughs it off as a joke when they react negatively. BR sees through his facade and talks to him separately, encouraging him to do what he really wants. TJ gets a visit request from TR, only it turns out to be YC instead with TR watching. YC tells TJ that he'll save NI and wait for TJ to return. TR tells YC that she's leaving to Venice. They say things to end their relationship nicely. Hug, go separate ways. BR meets the Vice Minister Lady. The new job as her aide is in Jeju-do. BR is worried about her abilities but lady boss encourages her to find her path, telling her that she has lived well so far. BR starts packing up at home and tells MS, who is surprised at her plans. She wonders why she's leaving YC when things are progressing nicely. BR tears up as she says she happened to be by YC's side when he was weak, and now he's gotten up again. It's too hard to stay by his side when he's doing such great things. BR doesn't like her self that doesn't seem to have accomplished anything. YC also tells DJ that he's returning to NI. He entrusts Dancing Whale to DJ. The next day, DJ announces it to the team at the office. They were surprised but thinking about following YC, until DJ asks them to stay. BR and YC meet in a cafe with news for each other. YC goes first and declares all his plans to BR, which she already anticipated. She drops her bomb on him however by telling him that she's leaving. He doesn't understand what happened and struggles to contain his disappointment that she wouldn't be coming with him. He asks, "If I don't go back to NI, will you also stay?" BR explains that her decision has nothing to do with what he chooses to do, and no one should have to give up their dreams for someone else. Having said all there is to say (except what they choose not to), they go their separate ways. YC turns back and mutters "Liar" at BR's back. Some uninteresting bit about TR and the artist. YC returns to NI and thanks Dir. Nam for protecting the company all this while. He bows to the remaining employees. [TRANS] 180628 boxabum Instagram Update - Suho: "Tonight is #Richman last episode #SmillingGuy CEO Lee, goodbye~"
Well it was a sweet ending atleast. P/S: It nice for me to share things here, since im a Suho's biased lol. Perhaps we can see again in other drama thread. BR packs up at Dancing Whale while YC returns to Next In. YC appears on the news which gets reported and TJ sees. BR and YC are both busy at work. YC calls BR but she decides not to pick up, which makes him call her "Liar" again. He actually stalks out her house but she's not there. She comes home when he was about to leave. They talk nearby. Basically YC's come to whine about it being a difficult time. BR tries to get him to think positively. He asks if she's really decided to leave to Jeju. He says that she's not keeping her promise of staying by his side. She asks the reasons that he wants her to stay. He says that it's comfortable with her around and she promised to make him laugh. She concludes that it's because he needs her (for practical reasons) and he admits it. She says that it's the opposite for her, that she doesn't need him because she feels troubled when she's with him. YC: You said you liked me! BR: Liking you and being troubled can be two separate things. YC gets frustrated that she's not changing her mind and he doesn't understand. He starts saying that it's not a job only she can do and he doesn't know why she needs to leave to do something not even that special. She sarcastically replies that she doesn't do creative jobs like him and it's fine because it's still a job that will change the world. She just says goodbye and walks away. YC shouts after her in frustration. He continues to work till the morning but reflects on what he said to BR. He finally calls her to apologise for looking down on her job and says it wasn't what he meant to say. He says he must have been worked up over the thought of her going to Jeju. She is stunned. He calls her "Bo-Ra yah, are you sleeping?" She says it's the first time he's called her name like that. He tells her he saw TJ and talks about how the office has changed. BR admits she does miss the place. "I always saw you when I looked down from here....and Chan Soo, and Team Leader Jang and Steve. Do you want to come see it? Now?" YC asks. BR says she has to meet the minister, and YC suggests the evening then. BR agrees, which makes YC grin like a fool. After she hangs up, she berates herself for being weak. YC goes out to meet her in the evening. BR calls to say she can't come after all. She finally says "I don't want to see you. Goodbye." YC: "Hang on. What does that mean? Are you never going to see me again? Is that why you're going to Jeju-do?" BR: "Yes. It's too hard. My heart hurts, and I'm tormented." YC: "What? Why? What did I do?" BR: "That's not it! Because I like you too much, I'm tormented because I like you too much! That's why I don't want to see you. I won't see you. Goodbye." She hangs up, leaving YC looking like a lost puppy. MS comes home to BR packing up. BR reveals that she can't see YC because if she sees his face, she might not be able to leave. So disapointed by this drama. It end like the jap version but there you get a movie and see them as a couple and living together (and learning to adjust together). They had 16 episodes, 5 more than the jap version. They could have done so mutch better. Less second lead and those many skinship and more of the two together like in the jap version. At least the kiss is better (every kdrama kiss is better than any jdrama kiss anyway). 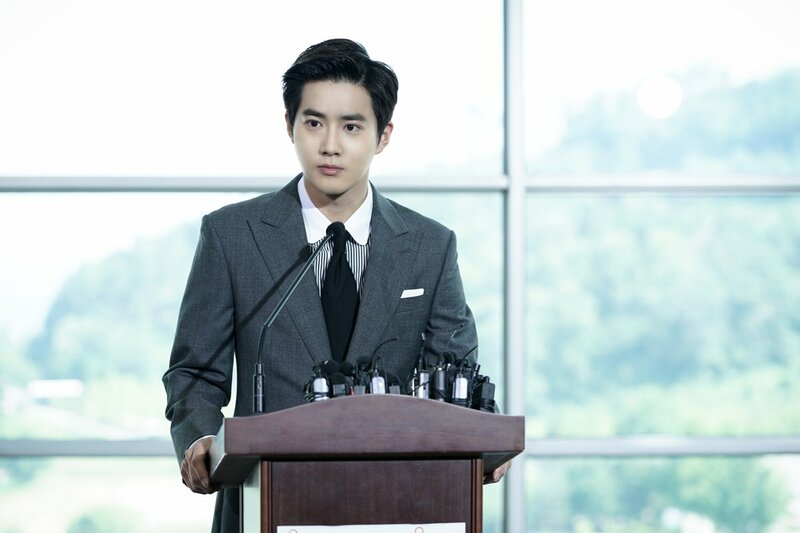 The hardest comparaison for me is Suho with Shun Oguri, my favorite japanese actor. 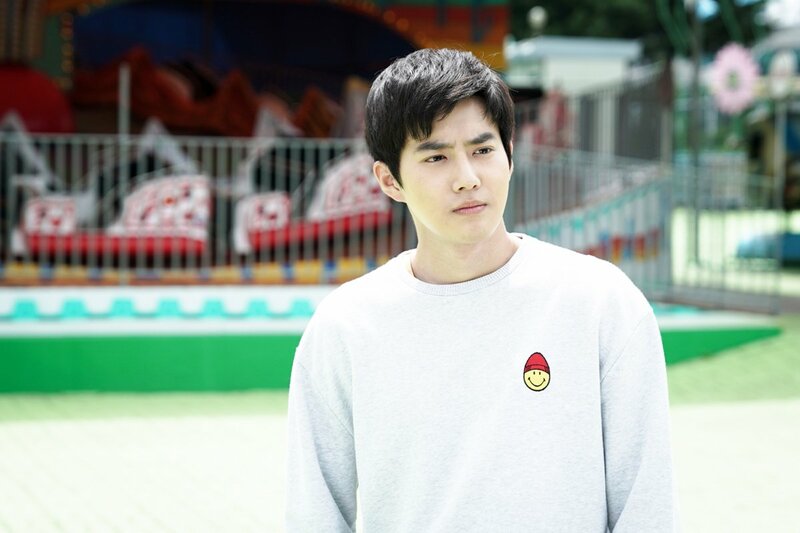 I feel nothing from Suho and no charism at all. YC goes to TJ to ask about his love problem lol. He presents what BR said to him and TJ accurately guesses who said it. YC realises he probably shouldn't ask TJ but TJ says he was jealous of their relationship. Since BR and YC got close, he lost his place. He apologizes. He doesn't feel anything now except relief that everything's out in the open. He tells YC that what she meant was she didn't know what to do with so much love for him, which is why it hurts. He says YC should understand since he felt like that for BH back then. YC asks what he should do, and TJ asks about his feelings. YC says, "It's nice when I'm with her. And I always want to be with her. I like it when she smiles. I tell her things I don't usually tell others." TJ tells him to tell it to BR instead of him since she wants to know his heart. TJ asks about NI and YC reassures him that he has the solution. YC meets with Taesan, asking them to make it possible for BF to be made. He'll give up rights and profits from it. Taesan directors are incredulous because he's ignoring their compensation and instead asking for more money, specifically 50 billion won. YC says that BF will be a product that will last more than 100 years, as compared to all the other products they're making now. They continue resisting, till TJ's father, the Chairman comes in. The Chairman hears YC saying that this project is his life dream. YC looks at the Chairman and says that he needs to protect the spot for his employee to return to. The Chairman says it sounds interesting and agrees, in return for a condition - BF must launch in a year or Next In will merge into Taesan. After the meeting, YC goes after the Chairman. He conveys that TJ is doing well and says that TJ will return to him, despite the Chairman's wishes. He thanks him sincerely for the chance he's giving them though. TR meets TJ and says goodbye. They make amends. Dir. Nam and YC go back to the office to think about the work to be done. Dir. Nam says that they lack manpower. Just then, the lift opens and the BF team does the whole power walk led by DJ. Woohoo! They've come back. Everyone rejoices. Chan Soo sneaks the photo frame of BR and YC to YC. YC looks at it and gives this whole pep talk, about how IT needs to be about people, about bringing loved ones closer even if they may be far in physical distance. Everyone cheers. YC writes on the white wall, "Next In. 차기 혁신은 바로 우리들! (Next Innovation is us!)" DJ and MS get married. YC runs late because he's at a meeting to sign an MOU with Taesan. BR is leaving to the airport after the wedding, despite the BF team's efforts. YC gets the info from CS and rushes to the airport. BR sees 13 missed calls and turns her phone off. "You said you were always gonna answer my calls!" she hears this shout. "Stand right there!" Seeing YC coming after her, she runs. LOL. "Why are you running away without saying a word?!" YC starts off by talking about NI is doing. "I know all the employees now. They don't have to tell me their names. I also know how to bow to people now." BR praises him. "TJ hyung also promised to come back. Everything's perfect, except the fact that you're not there. So stay by my side, don't go anywhere." YC: Why? You love me, don't you? I know it all. BR: Eh? No, I never said that. YC: You were tormented because you liked me. It means you love me, right? BR: What about you then? YC hesitates. BR sighs and says he should just find a woman who's good at her job and turns to go. He grabs her for a kiss. Flashbacks of their time together. 1 year later. BR and YC video chat on their phones, talking about their lives and jobs. YC complains that he can't see her. TJ returns to NI. The bromance is back as YC and him hug it out. CS saved their photo from back then and they put it back on the wall. BR and YC have another chat session as he works. She goes on a spiel about law and policy and YC just listens half-heartedly. LOL He doesn't even notice her background, which obviously shows she's in the company. She complains about his half-heartedness as he sulks that he can't touch or kiss her. Suddenly TJ floats in and out behind her, which YC catches. He thought it was a trick and then DJ and CS start popping up too hahaha. He runs to his window and sees her down there. He quickly runs down. BR: "What are you waiting for? Touch me then." They hug and share a long kiss to the cheers of the crowd. I was wondering if they would have 3 kisses this episode to match the number of kisses YC shared with TR, and they did! hahaha... well I can't say I wasn't disappointed by this show but I guess this episode is better than nothing. anyway, I just finished watching this drama and I love it. I don't have any expectations and just started watching this over the weekend and it was surprisingly good!